The above photo shows the ground-breaking ceremony on June 6, 1908 at the corner of Jerusalem Road and the Central Railroad right-of way. The horse and buggy on the far right were parked on Jersusalem Road. As you suggested, the current Stewart Avenue was then named Jerusalem Road. The road was likely changed to avoid confusion with nearby Jerusalem Avenue and despite the fact that there was already a Stewart Avenue in Garden City. This aerial of Bethpage was taken in 1950 and clearly shows the abandoned Motor Parkway right-of-way from the Massapequa Lodge (A) to the Central Avenue Bridge over the Long Island Railroad (G). 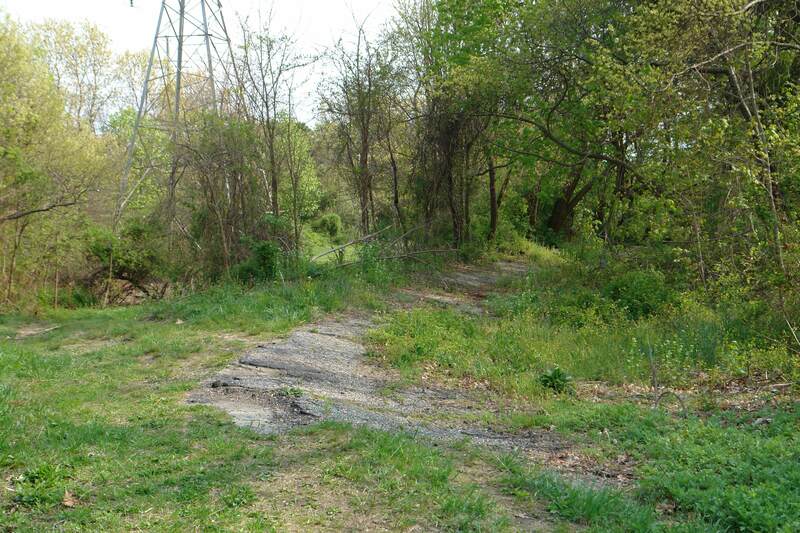 The Central Railroad right-of way (B) is south and parallel to the Motor Parkway. Your home on Motor Lane (C) was just west of the ground-breaking location (D). 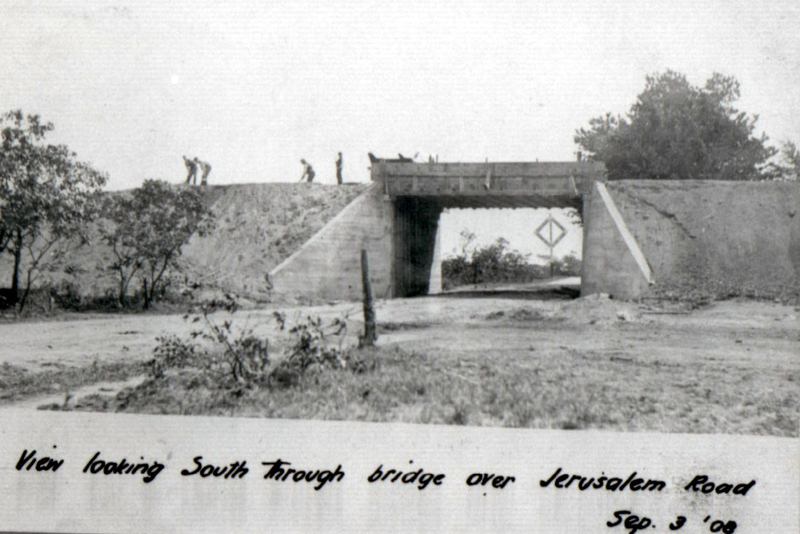 Jersusalem Road (now Stewart Avenue) is marked by E.
This is a view of the Jerusalem Road Bridge nearing completion in September 1908. The men are working on the same bridge abutment that you would later use to go sleigh riding! 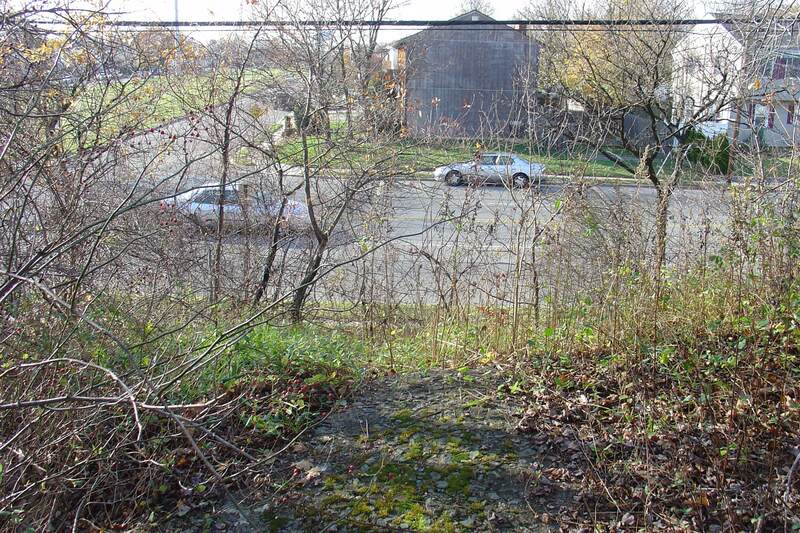 This is a 2003 view from atop of the bridge abutment looking west on to Stewart Avenue. Note sections of the Motor Parkway pavement remain. 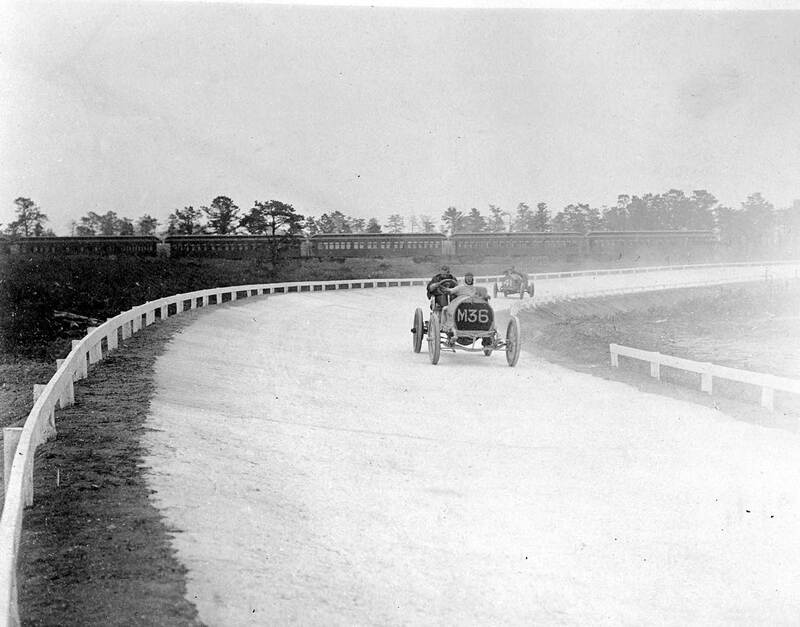 This was the Bethpage Deadman's Curve (F) shown during the Motor Parkway Sweepstakes on October 10, 1908. Note the parked Central Railroad train in the background that was used as a viewing stand. This is Deadman's Curve -100 years later in 2008. Note the pavement and the banked curve can still be seen. The utility tower in the background stands in the former Central Railroad right-of-way.